Orlando Retirement Home JUST SOLD in Polo Park West!! 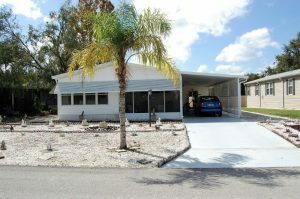 Orlando Retirement Home JUST SOLD – Looking for your new home? This well designed and lovingly maintained home is for you. As you enter this delightful home through the side door, you will find the kitchen to the left and dining room with fitted cabinetry to the right. The living room is straight forward as you open the side door. The very large master bedroom is to the rear of the property and has a very large walk-in closet and lots of natural light coming into the bedroom. The second bedroom is also well proportioned offering ample space for your guests or office space. If this isn’t enough, the Florida room has central heat and air. The AC was replaced in September 2012. Enjoy the outdoor life, then you will love the outdoor oasis created by the current owners. This zeriscape back yard has a good sized patio and hot tub for you to enjoy. There are many amenities and activities for you to enjoy in this beautiful golf community which offers easy access to the 192, restaurants and grocery stores as well as being minutes away from the theme parks. Live the Florida lifestyle.